Craving an awesome crab cake but too scared to try making your first batch? Have no fear and EASY CRAB CAKE recipe is here! 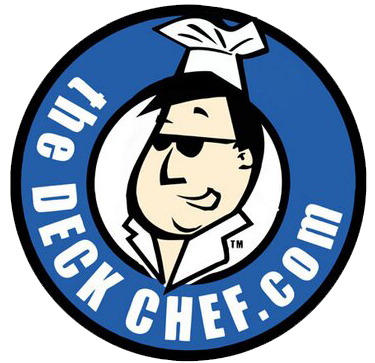 Here’s the official “Deck Chef” recipe for some Slightly Spicy Crab Cakes! 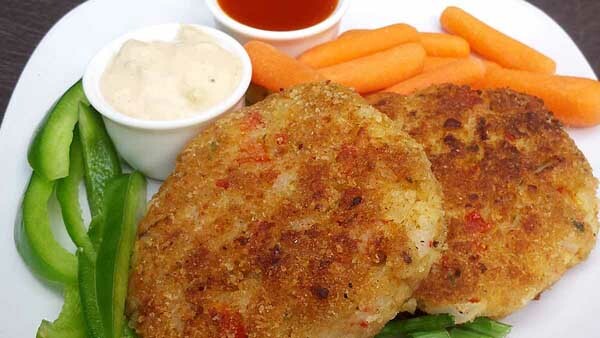 The great thing is that these crab cakes are not only easy to make but they can also feature a variety of seafood! You can make shrimp cakes, salmon cakes, catfish cakes, clam cakes… you get the idea. 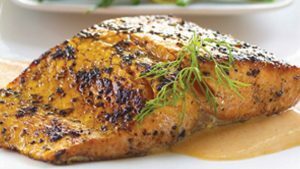 For this recipe we are sticking to using crab or imitation crab! The key is using crab meat that flakes – if you use something else, such as shrimp, then you will have to mince the meat up a bit. Don’t freak out! I’m not going to blow your mind with some horrible stories about imitation crab meat. If you reach for the imitation crab meat often sold in eight ounce packages, often found in the meat or seafood coolers, take note of the nutritional information. Imitation crab meat is most often a combination of white fish seasoned and sweetened to taste more like real crab meat. That means additional sugar, additives, and carbs. Real crab meat, canned or fresh, is lower in carbs, calories, sugar, and more. In fact – carbs should be around zero if you are using real crab! That’s where minced shrimp, white fish, craw-fish, and more come into the mix. Just something to consider. The photo shows the L.P. Maggioni & Company’s Crab Processing Plant in Thunderbolt, Georgia sometime in the late 1930’s – early 1940’s. Not imitation crab – but neat! THE CHILL! Making crab cakes is pretty simple. the trick, in my humble opinion, is to allow some chilling time between the time you make the patties and the time you cook them. So, plan ahead! The chilling time firms things up which reduces the crumble factor people are often scared of. The picture above shows a batch ready to chill before cooking. BIG CHUNKS! Another tip is to avoid HUGE chunks of anything. This goes for crab meat, veggies, etc. You don’t have to mince everything to a paste – but crab pieces should be flaked or about the size of a pencil eraser or slightly smaller. COOKED CRAB! 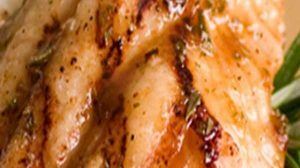 This recipe is set up for pre-cooked seafood. 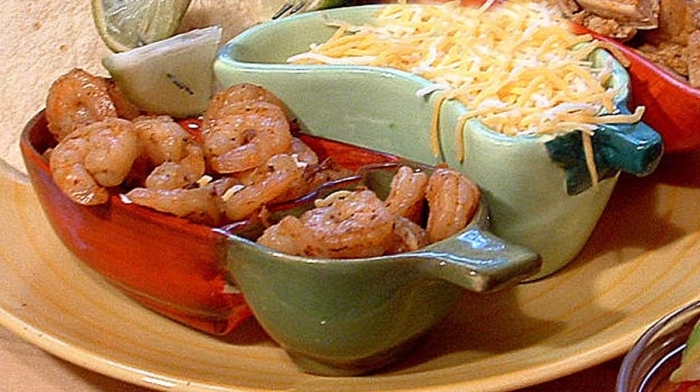 That makes this recipe perfect for leftover seafood such as shrimp or baked fish as well as frozen shrimp etc. I know the ingredient list is pretty long – but don’t worry – it breaks down into five simple things. You have the crab meat, and some wet stuff for flavor and binding, chopped stuff, some seasoning stuff, and bread crumbs! Butter or oil for the sautéed veggies. Directions: First – Combine the crab meat, mayonnaise, eggs, Worcestershire sauce, hot sauce, and Dijon mustard in a large bowl. Next – saute the sweet onion, green onion, and red bell pepper in some butter or oil. Stir in the veggies, remaining seasonings, and bread crumbs. Forming the Cakes! Form into equal size patties – you may need to rinse your hands a few times – the patties should be about the width of the top of a coffee mug, and slighty thicker than a deck of cards. Dredge each cake in reserved bread crumbs, place on a cookie sheet with wax paper, chill for an hour or so. Cooking the Cakes – Cook in hot oil until golden brown, turn, cook until the other side is golden. You can keep the cooked crab cakes warm in the oven on a cookie sheet while finishing up the remaining cakes.